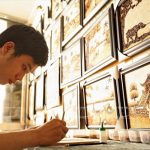 Talented artist Duong Huu Cuong has his own rice painting art studio ‘Ngoc Linh’ in Ho Chi Minh City, where alongside with him work 10 artists. 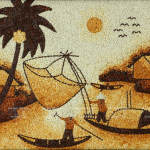 The team of talented artists have been working on rice mosaics for more than ten years. 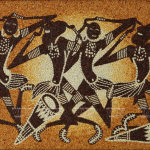 The main subject of their art – portraits, traditional landscapes, animals. 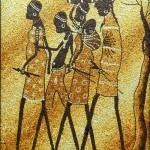 Each work of art begins with the choice of palette, which consists of basic four colors – white, yellow, brown and black. 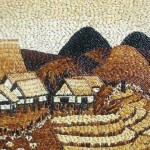 Rice grains are selected carefully according to colors and size. Masters can achieve subtle transition from one color to another by frying rice grains under the proper heat. 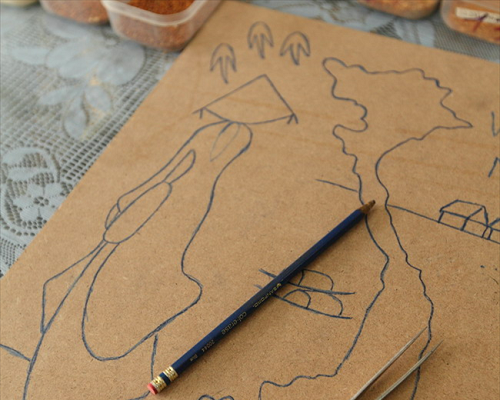 Creating a beautiful rice painting requires lots of devotion and patience. 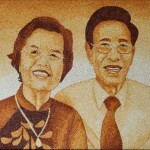 It takes from six to twelve days to create a rice grain painting of 80cm x120cm. 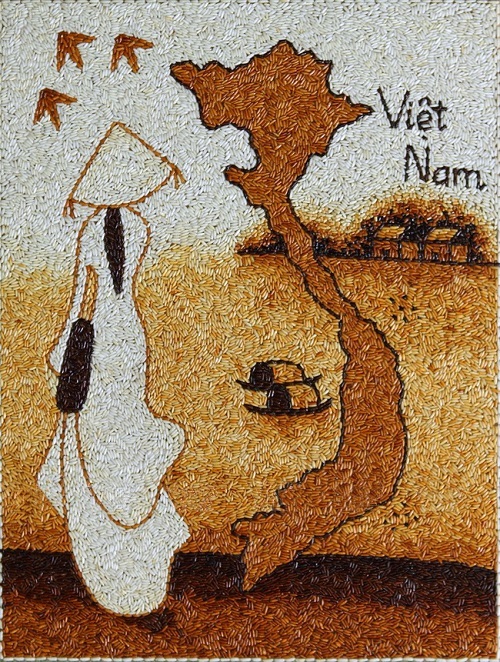 Of course, the larger picture, the more time is spent on it. 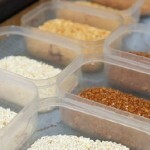 Plots variety: . Sketch of the future picture is applied to the base with a pencil. 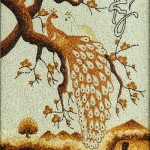 The mosaic artist then grafts the colored grains with glue on the wooden frame to fit to the draft design. 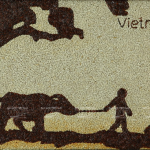 This “milk” glue is durable, easy to dry, and transparent when dry. 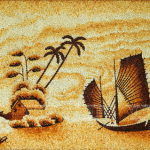 The most important step is to combine the colors of the grains in a harmonious way so that when matching together they will turn out a desired artwork. Last but not least, the final step is to dry the painting under the sun to make the grains attach and the painting more shiny and more vivid. It also helps protect the painting. 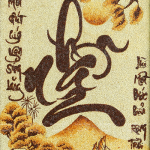 The life of a rice painting normally lasts for about ten years, so its price is rather expensive.